Nature in a Minute: The Caterpillars Count! 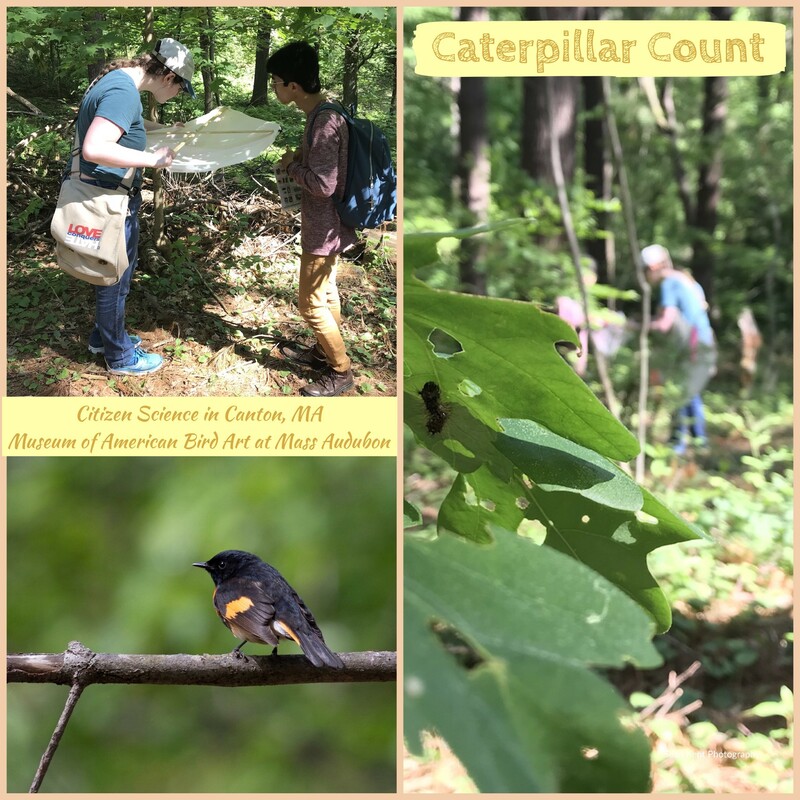 Posted on June 8, 2018 by Sean K.
The Museum of American Bird Art and Mass Audubon has partnered with UNC Chapel Hill to participate in a Citizen Science Project called the Caterpillars Count. Caterpillars Count! is a citizen science project the measures seasonal variation (phenology) and abundance of important food sources for birds, primarily arthropods like caterpillars, beetles, and spiders found on the foliage of trees and shrubs. We have a wonderful team of two volunteers and Sean Kent, the education and camp director, taking data on a weekly basis. So far we have monitored over 1,500 leaves for arthropods. Stay tuned! This entry was posted in Education, Photography, STEAM, Wildlife Sanctuary and tagged Amazing Volunteers, American redstart, Birds, Caterpillars Count! on June 8, 2018 by Sean K..